On Oct. 11, 2016, Michael Foster and two companions rose before dawn, left their budget hotel in Grand Forks, N.D., and drove a white rental sedan toward the Canadian border, diligently minding the speed limit. The day was cold and overcast, and Foster, his diminutive frame wrapped in a down jacket, had prepared for a morning outdoors. As the driver, Sam Jessup, followed a succession of laser-straight farm roads through the sugar-beet fields, and a documentary filmmaker, Deia Schlosberg, recorded events from the back seat, Foster sat hunched in the passenger seat, mentally rehearsing his plan. When Jessup pulled over next to a windbreak of cottonwood trees, Foster felt the seconds stretch and slow. For months, he’d imagined his next actions: He would get out of the car, put on a hard hat and safety vest, retrieve a pair of bolt cutters from the trunk and walk to the fenced enclosure about 100 feet away. He would snip the padlock that secured the gate and approach the blunt length of vertical pipe in the center of the enclosure — the stem of a shut-off valve for the 2,700-mile-long Keystone Pipeline, which carries crude oil from the tar sands of Alberta to refineries on the Texas coast. He would cut the chain on the steel wheel attached to the stem, and turn the wheel clockwise until it stopped. Ten minutes before Foster entered the enclosure, Jessup and another supporter each called the operations center of the pipeline’s owner, the TransCanada Corporation, and described what Foster was about to do. The company called the sheriff. About half an hour after Foster walked away from the valve station, an officer arrived and arrested Foster, Jessup and Schlosberg. What neither the sheriff’s department nor TransCanada knew, however, was that while Foster was closing off the Keystone Pipeline, four other cross-border pipelines — in Washington, Montana and Minnesota — were being shut down, too. Together, the pipelines carry nearly 70 percent of the crude oil imported to the United States from Canada. Judge Laurie Fontaine set his bail at $75,000. 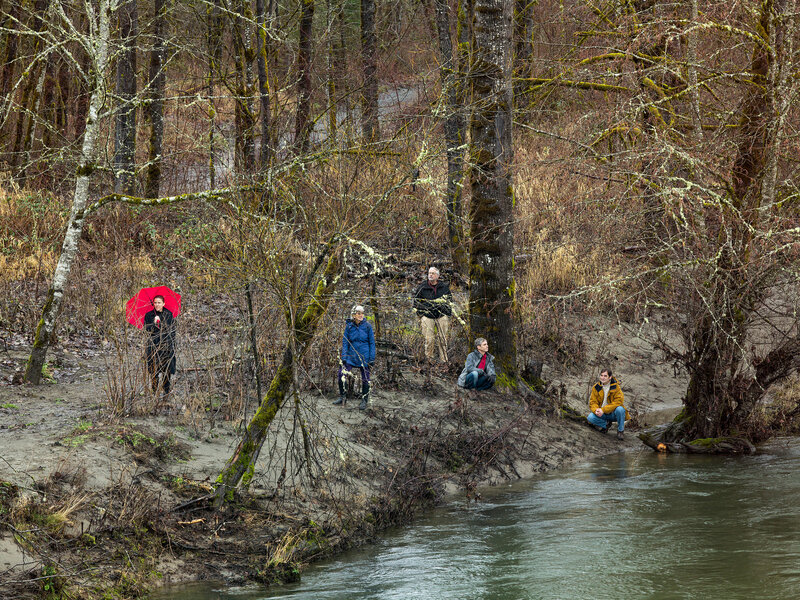 I first met Foster on a pitch-black evening in November 2016, a week after the presidential election, in the community room of a progressive church in Hood River, Ore. Foster and the four others accused of pipeline sabotage, all of whom had been released on bail, had been dubbed the Valve Turners, and this was their first public appearance since their coordinated action. They stood in a self-conscious line before their audience, unsure how to begin. Foster, dressed in what I would learn was his standard outfit — Hawaiian shirt, jeans and running shoes — stood at one end of the row, bouncing on his toes. Slight and agile, he can seem much younger than his years, almost impish. “I’m not afraid,” he said, grinning. His companions laughed tolerantly; they had heard this before. “Well, that’s good, because you’ve got the biggest charges,” Johnston teased. The Valve Turners are, for the most part, quiet people. They wear sensible shoes, and several attend church regularly. Most are parents, and one is a grandparent. All are white, all are college-educated and none are truly poor. While all are deeply concerned about climate change, none are immediately threatened by its worst effects: no one’s home has flooded, and no one’s health has been seriously damaged by heat waves or failed harvests or northward-creeping tropical diseases. All say that it is this relative safety — and the relative advantages of age, race, education and wealth — that makes them feel they have a particular responsibility, as climate activists, to push the boundaries of civil disobedience. Most Americans treat climate change, as the saying goes, seriously but not literally. We accept the science, we worry about its forecasts. We tell ourselves that the effects won’t be as bad as predicted, or that they will happen elsewhere, a long time from now. We tell ourselves that someone else will get serious about fixing the problem very soon. We find some way to blur the causal line between our individual actions and their cumulative effects. This is, in many ways, an eminently reasonable reaction, because it allows us to continue with our daily lives and to tend to the political emergencies of the moment — which are, after all, always numerous. The Valve Turners take climate change both very seriously and very literally. They are among those whom Ward calls the “climate freakout people” — the scant 2 to 3 percent of Americans who, when asked by Gallup to name the most important problem facing the country today, mention pollution or the environment. They can quote from the work of scientists like James Hansen, the former director of NASA’s Goddard Institute for Space Studies in Manhattan, who was an author of a 2008 paper concluding that in order to preserve a planet “similar to that on which civilization developed and to which life on Earth is adapted,” the concentration of carbon dioxide in the atmosphere needs to be reduced to 350 parts per million or less. (They can also tell you that the current atmospheric concentration of carbon dioxide, which was about 385 parts per million when Hansen and his team published their paper, is now above 407 — higher than it has been in at least 800,000 years.) For a variety of reasons, they have found themselves unable to look away from the scientific consensus that global business as usual is likely to cause, and may well already be causing, unspeakable suffering. With what their admirers call moral clarity and their detractors — including some of their loved ones — call tunnel vision, they’ve decided that their own business as usual must end. The modern environmental movement was born around the time Thoreau adjourned to his cabin on Walden Pond in 1845, but the climate movement — the part of the environmental movement concerned primarily with reducing greenhouse-gas emissions and easing the effects of climate change — is barely 10 years old. For decades, the predictions of climate scientists inspired little citizen action: In North America, at least, the possible consequences of climate change were too abstract, too distant in time and space, to galvanize a popular movement. But as international negotiations kept stalling, proposed legislation repeatedly staggered toward failure and scientific forecasts worsened, frustration grew among grass-roots environmentalists. In 2008, seven Middlebury College graduates and a Middlebury scholar in residence, Bill McKibben — whose 1989 book, “The End of Nature,” was among the first to take on climate change for a mass audience — founded the advocacy group 350.org, named after the study led by James Hansen. The work of McKibben and his students helped define the goal of the nascent climate movement: reducing the concentration of carbon dioxide in the atmosphere to 350 parts per million or less. In the process, they also defined their opponents. Those who were adding the most carbon dioxide to the atmosphere were the movement’s biggest enemies, and at the head of that list was the fossil-fuel industry. Climate-movement leaders organized mass demonstrations — in front of the White House, at international climate conferences and elsewhere — but almost from the start, a handful of activists began executing smaller-scale, more confrontational actions, hoping to both rouse complacent sympathizers and shame major emitters. In Utah in 2008, an economics student named Tim DeChristopher, who had grown alarmed about the increasing likelihood of climate scientists’ worst-case scenarios, posed as a bidder at an auction for public-lands drilling rights, placing fraudulent bids for leases on 22,500 acres of land. DeChristopher was convicted of two felonies, sentenced to two years in jail and fined $10,000. Like DeChristopher, Ken Ward, a former deputy director and chief operating officer of Greenpeace U.S.A., had become convinced that such actions were essential provocations. “This is the kind of disruption that’s necessary to change politics,” he says. Nearly six feet tall, Ward has craggy features, thick, dark eyebrows and a professorial air belied by his customary sturdy workwear. In the fall of 2012, he and other activists paid a series of surreptitious visits to Brayton Point, a port on the southeastern fringe of Massachusetts and the home of an aging coal-fired power plant that was, at the time, the state’s largest carbon-dioxide emitter. Posing as bird-watchers, they surveyed the harbor with binoculars. On May 15, 2013, Ward and a young Quaker sailmaker named Jay O’Hara piloted a 32-foot lobster boat into the Brayton Point ship channel, dropping anchor in the path of a freighter carrying a load of West Virginia coal to the power station. When the freighter neared, Ward and O’Hara alerted the police and the ship’s crew that they were carrying out a peaceful protest. (“This coal is coming from the United States,” a crew member responded. “What’s the problem with that?”) It took the rest of the day to move the boat, which Ward and O’Hara had named the Henry David T. The pair were charged with three misdemeanors and a felony. But on the morning the trial was scheduled to begin, the district attorney, Sam Sutter, announced that he had decided not to pursue criminal charges. “Climate change is one of the gravest crises our planet has ever faced,” he told reporters gathered in the courthouse plaza. Sutter added that he would join a climate march later that month. (That year, Sutter ran for mayor of the working-class city of Fall River, Mass., and won.) By then, the owners of the Brayton Point station had decided to close it, citing low energy prices and the costs of retrofitting the facility to meet current environmental standards. Ward moved from Boston to a small town outside Portland, Ore., and began thinking about how he might continue what he and O’Hara started. 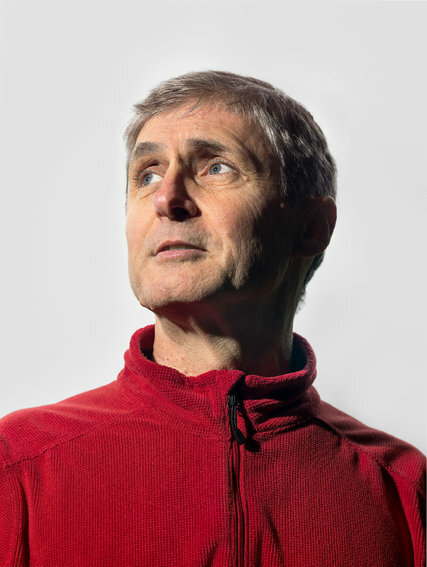 Quietly, he began to discuss possibilities with core members of the climate movement in Seattle — conversations that would eventually include Michael Foster. Foster, a family therapist, longtime environmentalist and father of two, had been living in Seattle for two decades, and he’d recently become active in raising awareness about climate change. But his road to the beet fields of North Dakota began years earlier near Houston, now the southernmost endpoint of the Keystone Pipeline. Despite the upheaval of his early years, Foster remembers his childhood as a happy one. His paternal grandfather worked for the Shell oil refinery whose smokestacks still punctuate the Houston skyline, and his grandparents were able to raise Foster and his siblings in relative comfort. Foster’s grandmother died of cancer when he was in eighth grade, and he responded to the loss, in part, with a tent-revival religious conversion, becoming a Baptist. Foster believed that his future lay in the ministry, and he eagerly anticipated the return of the traveling preacher who had drawn him into the church. But as he sat with other believers in his high school auditorium, watching his mentor prowl the same stage where Foster had pretended to be Thoreau, he saw only artifice. “He was promoting his television show, he was asking for money,” Foster says. “I’d learned something about performance, and I could see this was a performance.” He walked out of the auditorium, and out of the church, with a lifelong horror of hypocrisy. Foster first encountered the notion of climate change when his high school debate team was assigned to research energy independence. In Texas in the 1970s, support for increased domestic oil production was practically a requirement for residency, but the team had to argue both sides of the issue, so they studied the prospects for energy sources at home and abroad. One day, an upperclassman gave Foster an interesting tip: At Exxon, where some students’ parents worked, company scientists had considered the effects of carbon-dioxide emissions on the climate and concluded that humanity would soon have to wean itself off fossil fuels. “It was just this goofy, weird piece of information,” Foster remembers. “We couldn’t even figure out how to use it — was it an argument for energy independence, or against it?” In 2015, when news broke that Exxon scientists had indeed studied the causes and effects of climate change for decades, Foster would remember how he and his fellow debaters failed to understand that the industry on which their families depended might also be upending their world. Foster studied theater at the University of Houston and found work performing Shakespeare in local schools. Theater led him to Louisville, Ky., where he returned to school for a degree in counseling, hoping to channel his love for children and the outdoors into a career as a wilderness therapist. After graduation he moved to the Pacific Northwest, where he worked for a succession of outdoor education programs. He also reconnected with his college girlfriend, who was working in Seattle, and in 1999, they married. But Foster was increasingly troubled by one particular threat to his family. In high school, he regarded the heating of the planet by humans as a goofy rumor, but he’d since come to see it as a credible, even pressing, concern. During the summer of 1988, when he was 23, he turned on the television just as Hansen was testifying before the Senate Energy and Natural Resources Committee on global warming. “It is already happening now,” Hansen said at the hearing. That’s it, Foster remembers thinking. Now Congress knows. Now it’s going to be fixed. It wasn’t fixed, of course. Through the 2000s, Foster worked as a therapist and an outdoor educator, finding solace in the connections he forged between kids and the rest of the living world. But he knew that the concentration of greenhouse gases in the atmosphere was increasing, and he knew that its heaviest consequences — more extreme droughts, floods, fires and storms — would be borne by his children’s generation and those that came after it. He felt compelled to do more, and in the summer of 2012, at the suggestion of a friend, he traveled to San Francisco for climate-change activism training run by Al Gore. When he returned home, he adapted Gore’s famous PowerPoint presentation for younger audiences, adding stories about kids who planted trees, built their own wind turbines and sued the United States government over its inaction on climate change. Soon Foster was talking about climate change to hundreds of students every month. He worked with a group of kids who were suing the state of Washington over its climate policy. In 2013, he and Emily Johnston helped found 350Seattle.org, which became part of an intensifying campaign against the expansion of fossil-fuel infrastructure in the Pacific Northwest, successfully opposing the construction of several new coal and oil export terminals in Washington and Oregon. In May and June 2015 in Seattle, Foster, Johnston and hundreds of other activists tried to prevent the departure of Royal Dutch Shell’s offshore oil rig, the Polar Pioneer, by forming chains of kayaks and canoes; the following month, Foster joined another boat blockade, in Portland, that tried to stop a Shell icebreaker from leaving for the Arctic. Though both vessels eventually proceeded north, Shell officials were reportedly surprised by the strength of the opposition and the coverage it garnered. In September, citing the disappointing results of its exploration, the company abandoned its Arctic drilling operations. For Foster, it was a revelation: He had put his body in the way of the polluters, and the polluters had turned back. But the Valve Turners’ tactics are not popular within the environmental movement as a whole and remain controversial even within the climate movement. While the national leadership of 350.org offered its support to the Valve Turners after their arrests, the response from mainstream environmental groups was subdued; for some, the shut-offs were reminiscent of the anonymous vandalism carried out by groups like Earth First! and the Earth Liberation Front beginning in the 1980s, which enabled opponents to demonize environmentalists as domestic terrorists. This theory was tested when Ward, whose case was the first to go to trial, appeared in court in the small city of Mount Vernon, in far northwestern Washington State, on a cold, bright January morning last year. The judge, Michael Rickert, did not allow Ward to use a necessity defense, ruling that Ward had not exhausted his legal options. Ward was charged with both burglary and sabotage — which, in Washington, is defined in part as willful interference with a commercial enterprise — and as Rickert dryly pointed out, the case was “not exactly a whodunit.” The jury even watched a video of Ward cutting the chain that secured the emergency valve of Kinder Morgan’s Trans Mountain pipeline. But after nearly six hours of sometimes heated deliberation, the jurors announced that they could not come to a decision on either charge. They told me that all were in favor of conviction except for one, who maintained that Ward’s primary intent was not to break the law but to make a point about climate change. Another juror, Warren Wicke, a former corporate recruiter who retired to Mount Vernon, voted against a sabotage conviction, calling the charge “overkill,” and described Ward as a “good man.” But like many of the other jurors I interviewed, he has his reservations about Ward’s strategy. “I’m worried about somebody trying to outdo him, somebody doing something more outrageous for the sake of publicity,” he said. Most of the Valve Turners say that their acute concern about climate change, and their decision to break the law because of it, have come with significant personal costs. Some have lost friends and partners, and all have found that “climate freakout people” are not popular at parties. Still, most have reached an accommodation with those who don’t share their alarm. He couldn’t let his family off the hook either, and resentments deepened. “When people asked me how things were going, how I was doing, I’d say, ‘He’s doing important stuff, and it matters,’ ” says his ex-wife, Malinda, who asked that her last name and her children’s names not be used to protect her family’s privacy. “I’d also say, ‘I really respect Gandhi, but I wouldn’t want to be married to him.’ ” Both Malinda and her older child say they felt constantly judged, and frustrated, by Foster’s inflexibility. In 2014, Malinda filed for divorce, and his children said they no longer wanted to be part of his activism — or part of his life. Foster’s trial began in Cavalier, a tiny town in North Dakota, on Oct. 2 of last year, and after two and a half days of testimony, the jury convicted him of felony criminal mischief, felony conspiracy to commit criminal mischief and criminal trespass, a misdemeanor. He was found innocent only of reckless endangerment. Foster’s co-defendant, Sam Jessup, a 32-year-old carpenter who accompanied him to the valve and live-streamed its closing, was convicted of felony conspiracy to commit criminal mischief and misdemeanor criminal conspiracy. (The charges against Schlosberg were dropped.) In pretrial hearings, Judge Fontaine ruled that Foster and Jessup would not be allowed to mount a necessity defense, just as the judges had ruled in Ward’s case in Washington and Leonard Higgins’s in Montana. 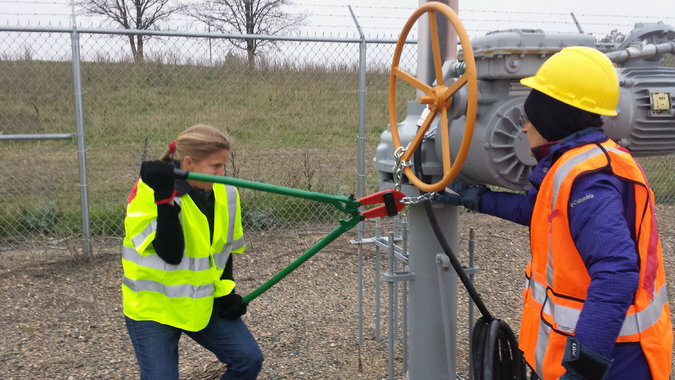 Lawyers for the two other Valve Turners, Emily Johnston and Annette Klapstein, were able to persuade the judge to allow that defense in their forthcoming trial, but the decision has been appealed by the prosecution. As a result, the climate scientist James Hansen, who attended Foster and Jessup’s trial, was not allowed to testify, but it’s very unlikely that more information about climate change would have altered the verdict. Unlike the divided jurors in Ward’s trial, all the jurors in Cavalier were persuaded that Foster and Jessup were guilty of something. “If you want to protest, you can protest,” one juror told me, “but you can’t go on to someone else’s property and destroy things.” Lonny Johnson, the TransCanada employee who visited the site after Foster turned the valve, testified that the valve wasn’t designed to be closed against pressure as Foster had done, but that he’d found no cracks or leaks when he inspected it. The prosecutors, however, argued that a leak could have caused a fire or explosion or polluted the nearby Pembina River. During jury selection, several potential jurors said that they had heard about Foster’s action while listening to police scanners and had been so frightened by the potential consequences that they did not feel they could serve on the jury. After his conviction, Foster returned to Seattle to await sentencing. He continued to plant trees, give slide shows and talk publicly about his decision to turn off the Keystone Pipeline, and he gave several guest sermons at liberal churches, some inspired by Thoreau’s essay “On the Duty of Civil Disobedience.” “Hilarious to think my emotional experience is no different today,” he told me in a text. On Feb. 5, he and Jessup were back in Cavalier for their sentencing, accompanied by Klapstein, Higgins and family members. The temperature was well below freezing even at midday, and the frosted streets were quiet. That evening, in the bar of the town’s only motel, the two prosecuting attorneys sat together, while Foster and his group ate dinner just a few feet away. Foster was in a reflective mood. “It’s so strange to think that tomorrow I could get 21 years — or I could be free for lunch,” he said. The next morning, inside the century-old county courthouse, Judge Fontaine asked if Foster wanted to make a statement before his sentencing. “Yes, Your Honor,” Foster said. Judge Fontaine sentenced Foster to three years in prison, with two of those years to be suspended and served on supervised probation. Jessup was given a suspended sentence of two years. When the hearing ended, two officers approached Foster. He stood, and as he silently mouthed, “I love you,” to his supporters in the front row, he was escorted out of the courtroom. Jessup stayed behind the defense table, looking lost. Michelle Nijhuis is a project editor at The Atlantic who also writes about science for various publications, including National Geographic. This is her first article for the magazine.